Alfred Henri Blichfeldt Quistgaard enlisted in the Royal Norwegian Air Force during the Second World War. He was killed crossing the Atlantic when SS Nerissa was torpedoed in the spring of 1941. Alfred Henri Blichfeldt Quistgaard (or Qvistgaard) was born on 22 February 1908 in Elsinore, Denmark. He was the son of miller Vilhelm Brockhoff and Elna Ingeborg Quistgaard (née Blichfeldt). He graduated from the Copenhagen Business School in 1927. In the late 1920s, Quistgaard attended the Danish Army’s School of Cornets at Kronborg in his home town of Elsinore. Quistgaard was educated in commerce and in the late 1930s lived in Cali, Columbia earning his a living as merchant. In September 1940, he travelled from Columbia to Canada to volunteer for the Norwegian Air Force in camp “Little Noway” in Toronto. He enlisted on 19 November 1940 and served as intelligence officer. In the spring of 1941 the Royal Norwegian Air Force intended to strengthen the organisation in London. Fenrik (2nd Lt) Quistgaard and three other men were transferred to London. 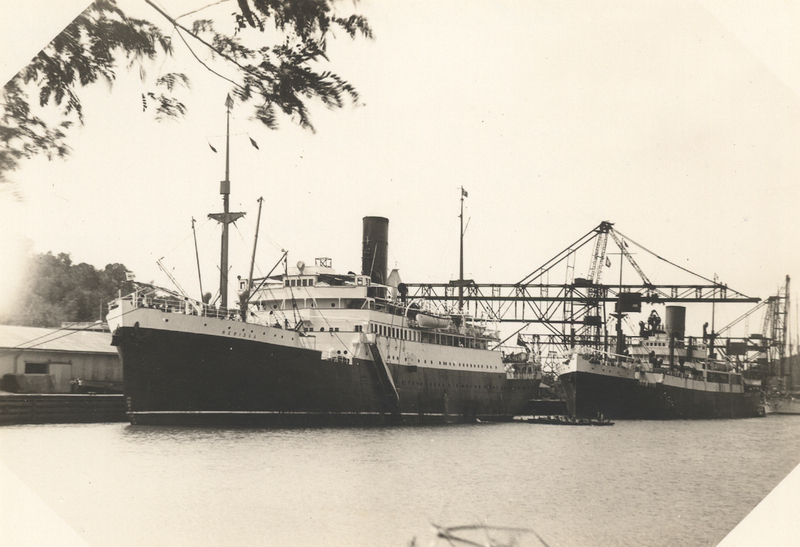 SS Nerissa sailed from Halifax on 21 April 1941 and called at St. John, Newfoundland, on the way to United Kingdom. Quistgaard and his Norwegian colleagues boarded the ship at St. John. SS Nerissa was making an independent unescorted crossing. Soon after 2230 hrs. on 30 April 1941, SS Nerissa was struck by three torpedoes at a position about 150 miles from Lough Foyle on the north coast of Ireland. Victim of the German U-boat U-552, the ship sank within a few minutes. More than 200 people on-board were killed; among them Alfred Henri Quistgaard. Parish record Helsingør Skt Olai. DAHS: Service record, index card. Ancestry.co.uk: Baltimore, Passenger Lists, 1820-1964. Meyer, F., Hærens og marinens flyvåpen 1912-1945 (1973), p. 63. DHH: CMHQ Report No. 28, The Loss of the S.S. “Nerissa”, 31 May 1941.
 www.ssnerissa.com (accessed 1 May 2018).